Are you planning a trip to the Mother City soon? Make the most of your visit and enjoy two full-day guided tours with City Sightseeing’s Cape Explorer Combo ticket. City Sightseeing now runs two family-friendly day tours, launched earlier this year.Visitors can enjoy a live-guided, luxury air-conditioned coach tour to Cape Point or to the Franschhoek & Stellenbosch Winelands. This offer is an excellent way to see various parts of the Western Cape in limited time. Do note, this ticket is available online and this combo offer saves you R110. Pro-tip: Peak season is busy, so be sure to book your tours timeously. The Cape Explorer combo runs all year, so be sure to look at the bus schedules for more information. Cape Point Nature Reserve is one of Cape Town’s most popular destinations for local and international visitors all year round. If you’re an avid hiker, there is a trail from Cape Point to the Cape of Good Hope, where the Explorer can collect you when you’re done. The reserve is home to a host of indigenous fauna and flora, including endangered peninsula sandstone fynbos, and is a great outing for any budding horticulturist. For gorgeous views without too much walking, hop on the cable-drawn Flying Dutchman Funicular and ride up to the lighthouse. You’ll be stopping off at Boulders Beach en route to Cape Point, so bring along a camera to snap some pictures of the African penguins. The Western Cape wine region is home to many award-winning estates. It’s best to spend a full day exploring the area, learning more about winemaking and enjoying the spectacular views. Most of the wine farms have restaurants or cafés, making them perfect for breakfast or lunch outings. And the best part? You can buy a bottle of incredible wine to enjoy when you’re back from your trip. The Cape Explorer Cape Point Tour picks up visitors from nine stops. The Cape Explorer Franschhoek & Stellenbosch Winelands Tour picks up visitors at seven stops. Both tours are full-day excursions and the bus returns at around 5.30pm. There is free Wi-Fi on board for your convenience. 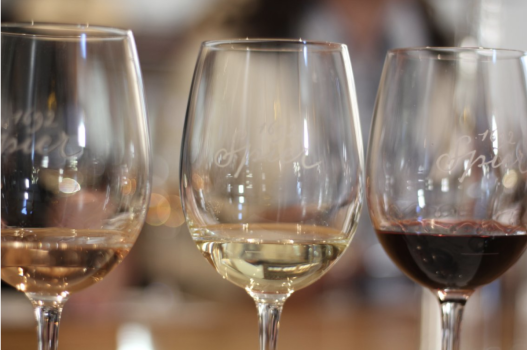 Visitors will get to enjoy two complimentary wine tastings on the Cape Winelands Tour. Bring a jacket and sunscreen in case the weather changes. Make the most of your visit and enjoy two full-day, guided tours with the Cape Explorer combo ticket. Visit the penguins at Boulders Beach and see the Cape of Good Hope with the Cape Point Tour, and spend your second day visiting wine farms and enjoying wine tastings and cheese pairings. You have 5 days to redeem both tours in, allowing you maximum flexibility in your Cape Town dream itinerary and saving money in the process! You have 5 days to redeem both tours in, allowing you maximum flexibility in your Cape Town dream itinerary and saving money in the process!